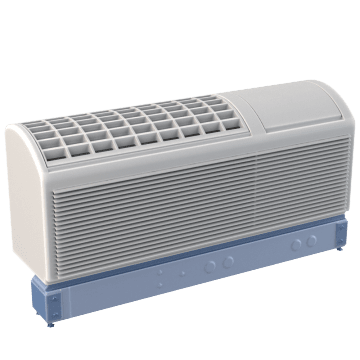 Reinforce and level your packaged terminal air conditioners (PTAC) and heat pump (PTHP) units, while also hiding their wiring with these subbases. They help protect electrical outlets, switches, and cords from tampering and damage. Position them under the front of the wall sleeve either before or after installing the sleeve.